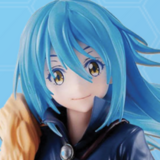 Win That Time I Got Reincarnated as a Slime prizes everyday courtesy of Crunchyroll Store and Crunchyroll Games! That Time I Got Reincarnated as a Slime was a quick hit with anime fans but there was one thing that stuck with all of us - our bestie Milim. To celebrate her and best friends everywhere, we’re hosting the #Besties4Slife Sweepstakes! DanMemo Welcome to the Familia Sweepstakes! 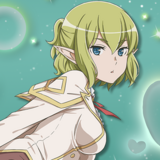 Win DanMachi prizes EVERYDAY just by playing DanMachi: Memoria Freese! It’s an AMAZING time to be an Is it Wrong to Try to Pick Up Girls in a Dungeon? fan! DanMachi: Arrow of the Orion just launched in Japan and DanMachi: Memoria Freese released its latest event Goddess Campanella, a celebration of the special bond between Bell and Hestia. Read on for more. Familia Royale Tips with Technia! Get the best tips for high scores from a professional in DanMachi: Memoria Freese! 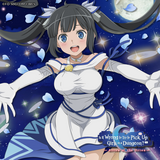 Get the best tips for high scores in DanMachi: Memoria Freese! Hit the jump to learn more from a DanMachi: Memoria Freese! pro.